Soft, cozy blankets and a date with your favorite dreams – let Scentsy Go Jammy Time pods float you to dreamland with every sniff. A relaxing trio of baby freesia, sweet pea flower, and lavender soothe the senses, day or night. 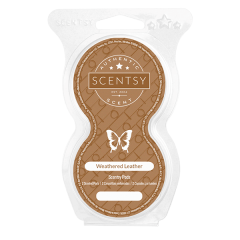 A gentle, harmonious fragrance, this blend is perfect for your whole family. While one Scentsy Go Jammy Time pod smells delightful, you can also use both pods in this 2-pack at once for even more relaxing fragrance. Want to make another fragrance pod type smell heavenly? Match it up with a Jammy Time for day-to-night customized fragrance wherever you take your Scentsy Go.